It is true, there has never been a better time to invest in real estate. The problem is, if you don't take the time to educate yourself, there has never been a worse time. 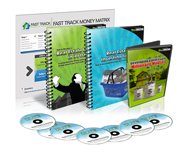 This free course will be delivered to your front door and includes a 30 day step-by-step action plan, a complete guide to no-money down investing and much more. 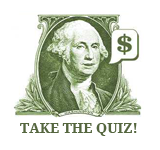 Question 1: Which best describes your financial goals? After searching for years and spending $10,000's on crappy courses I can't believe I finally found what I was looking for and it was FREE! Thanks Cody! Just got my free real estate investor starter kit in the mail, this thing is awesome! Each of your 7 videos are both educational and entertaining. I especially enjoyed the ones on flipping properties and on how to outsource my work. This free information is better than the $2,000 bootcamp I went to! To Cody and the entire Clever Investor team... I was able to use your easy to follow information to close my first deal yesterday! THANK YOU! You guys have... without a doubt the best customer service in the business! Grab Your Free 7 Video Mini-Course Now!